Belgium national football team is known as the Belgian Red Devils. They are one of the most balanced sides in the current football world. They are probably the most improved team of the last decade. They have been the team to fear since the last half a decade and their current generation has been labelled as the “Golden Generation”. Despite playing their maiden match in the 1904, they hardly have that much good history comparing to the other power houses of football but their recent performances have been too good. They are currently occupying the 5th position in the FIFA ranking and were in the top position since November 2015 to March 2016 which is an incredible achievement. Belgium looking forward this year to give tough competition in FIfa world cup 2018 held in Russia. Roberto Martínez current head coach of the team made big changes that required in the squad. In world cup qualifiers Belgium performance improved and they have scored number goals that tells the full story of their preparation for the world cup 2018 in June and July. Eden Hazard lead the team of Belgium as skipper in world cup matches. Tournament History : Belgium is one of those few countries to play in the inaugural edition of the FIFA WC in 1930. They have featured in the 13 editions previously and it is going to be their 14th appearance in the biggest competition of the game. Their best result so far in this tournament was sealing the 4th spot in the 1986. In the latest edition of the tournament, they topped the Group H with 3 victories and knocked USA out of the competition in the round of 16. But they couldn’t cross the quarter final as they were beaten by the finalists Argentina as Gonzalo Higuain proved to be the difference between the two sides with his lone strike. 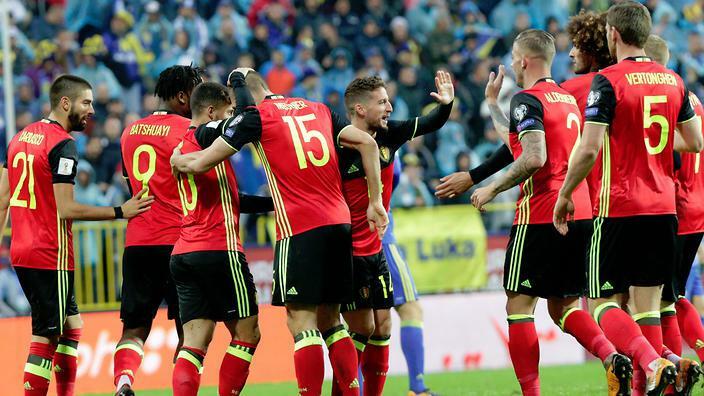 Recent Results : Belgium comfortably booked their place in the upcoming WC as they topped the qualifying group H. They won 9 out of their 10 games in the qualifiers and earned 28 points to finish ahead of Greece and Bosnia & Herzegovina. Roberto Martinez has been appointed as their new manager after the departure of their former boss Marc Wilmots. “Les Diables Rouges” were one of the hot favourites in the UEFA Euro 2016 in the France. They started pretty well but despite having an early lead with a Radja Nainggolan screamer, they were knocked out by Wales in the quarter final stage. Story and Strength of the Team : As it has been said earlier, Belgium has one of the most balanced sides in the planet. It should be added that, not only their first xi is strong, but also they have a solid group of reserved players. So Martinez the former Everton boss will have so many options to rotate during the tough and long competitions. The likes of Thibaut Courtois and Simon Mignolet are their shot stoppers. Both of them have good reputations in the England’s top flight. They have got a solid defence consisted of Toby Alderwireld, Jan Vertonghen, Vincent Kompany, Thomas Meunier. Their midfield is the combination of creativity and physical strength with the likes of Fellaini, Radja, Witsel in it. The attack is full of super stars. Eden Hazard, Kevin De Bruyne, Carrasco, Romelu Lukaku, Dries Mertens all of them are proven and have the ability to change the direction of the game in their team’s favour. Martinez was appointed as Belgium coach in August 2016 after Marc Wilmots lead Beglium to quarterfinal finish in 2016 Euros. 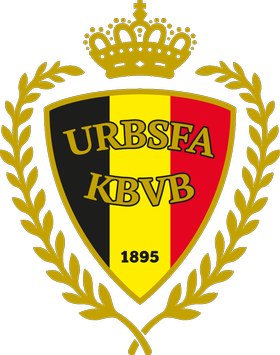 Under Martinez Belgium qualified for World Cup 2018 pretty much without breaking a sweat but that was expected considering the quality in the squad. Martinez appointment was criticized at the time specially after his failure at Everton and it will be interesting to see how this golden generation of Belgium goes about their work when it really matters. Belgium has such a quality squad that it is almost impossible to predict their starting lineup and it may come down to the last few weeks of the season and player forms for Martinez to make up his mind. However their are certain positions which are pretty much fixed with Romelu Lukaku playing upfront while Eden Hazard, Kevind De Bruyne playing in attacking roles Dembele in central midfield while Thibaut Courtois starting in goal. Toby Alderweireld Jan Vertonghen are the other two players who will get the nod considering if they are fit. Robert Martinez make sure the selection he made for world cup 2018 will be good enough for competition. As per rumors Belgium national team squad based on 23 players announced during the 1st week of May. Goal Keepers : Thibaut Courtois, Simon Mignolet, Koen Casteels. Defenders : Toby Alderweireld, Vincent Komapny, Thomas Meunier, Jan Vertonghen, Thomas Vermaelen, Laurent Ciman, Christian Kabasele, Jordan Lukaku. Midfielders : Radja Nainggolan, Marouane Fellaini, Axel Witsel, Mousa Dembele, Kevin De Bruyne, Nacer Chadli.